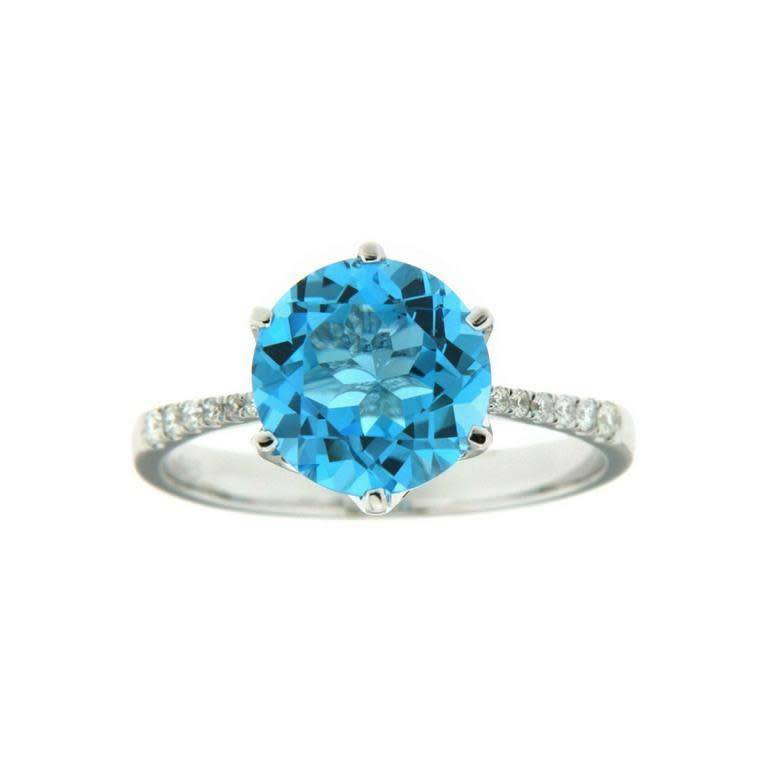 Ladies diamond and blue topaz ring of classic styling. The ring is crafted in 14k white gold and is set with one round cut blue topaz. This topaz is six claw set at center and has a gem weight of 3.50ct. The ring is also set with round brilliant cut diamonds that are pave set in a tapering fashion down the shoulders of the ring. These diamonds have a combined weight of 0.10ct.